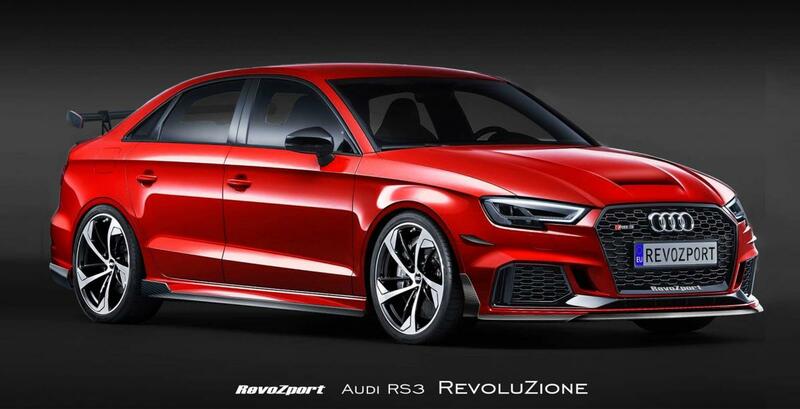 After what seems like an eternity the world renowned performance and accessory studio – RevoZport Racing Technology have returned to creating performance and styling kits for Audi with the launch of their brand new Audi SR3 Aerokit. 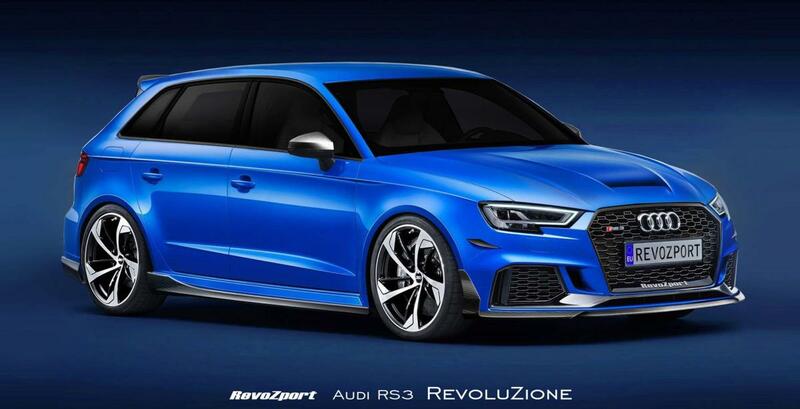 Developed for both the RS3 sedan and hot hatch. 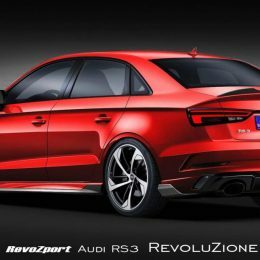 Charles Wan the Head of Design, said “ we have been looking to create something new for Audi for sometime but the team felt that Audi really didn’t offer us the frame work to be totally creative and that we couldn’t achieve the mix of art and technology that RevoZport stands for until the RS3”. 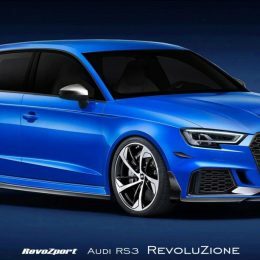 However, with its distinctive exhaust note and the fact the car hits 60mph in 3.5 seconds was all the excuses the design and engineering team needed to help reflect the power that the SR3 has to offer. 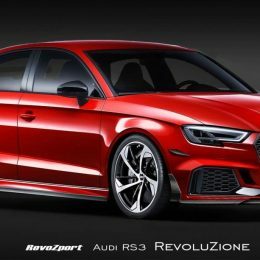 And to celebrate further this return, RevoZport have introduced the RevoluZione brand which has been created exclusively for Audi. 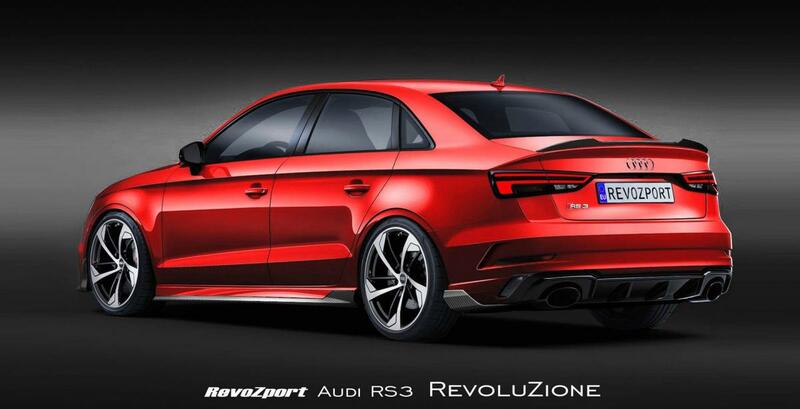 Custom made and rigorously tested to ensure maximum aerodynamic performance and handling the complete RevoluZione aerokits includes; front splitter, front bumper canards, side skirts, rear bumper skirt, rear diffuser, trunk spoiler, adjustable Swan neck GT spoiler that comes with a choice aluminum colour mounts (sedan only) and a vented single or double sided carbon bonnet designed to reduce that all important weight factor. 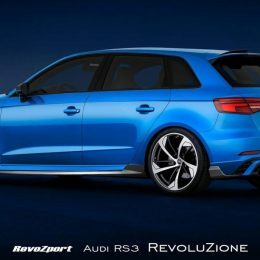 The kits undertake detailed quality control to achieve complete customer satisfaction and are available in a choice of Gloss and Matt finishes or a RevoZport exclusive Forged Carbon finish. The kits are priced between $7,250.00 and $5,559.00. For more detail please visit www.revozport.com. 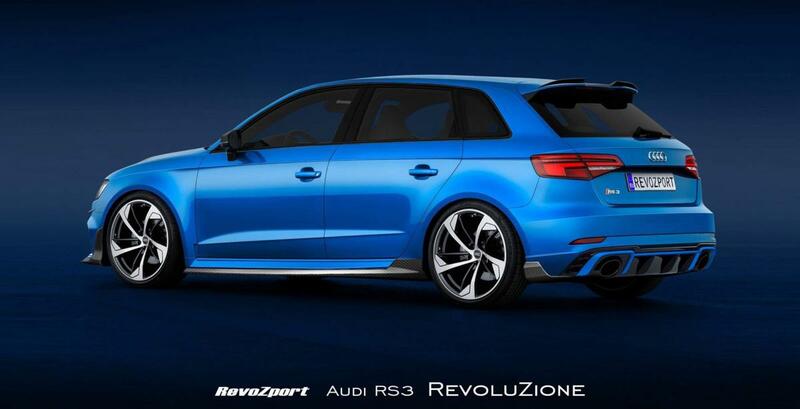 RevoZport customers RS3 with the lightweight vented hood fitted. 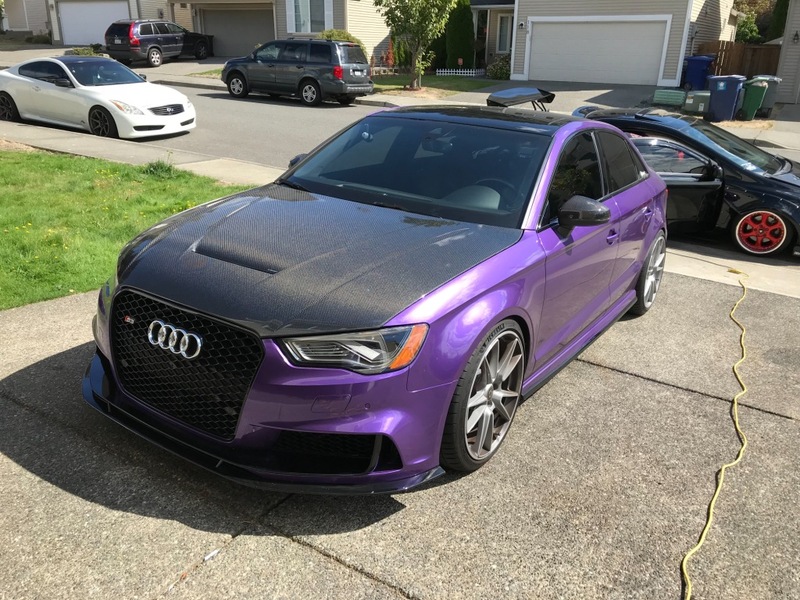 The hood comes in two options; single sided carbon or double sided carbon and retails for $1800.00.